STOP LOOKING ~ This is the one! 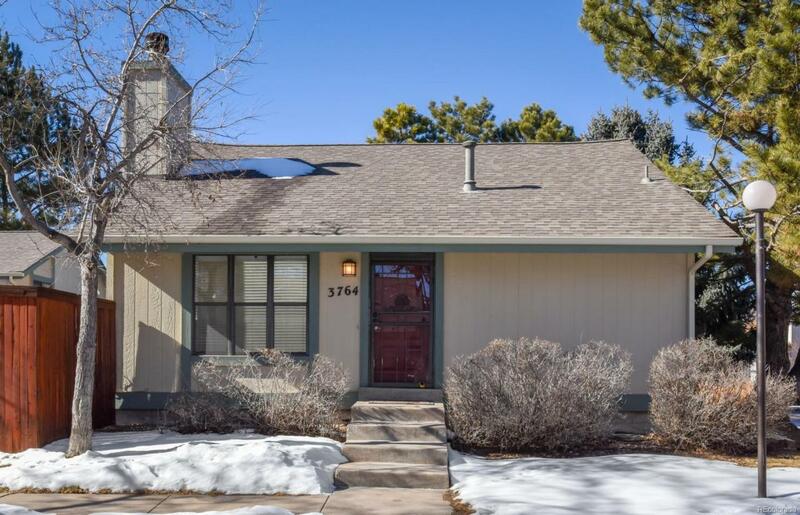 Located in Award winning Cherry Creek School District, this UPDATED light and bright 4 BD, 3 BA low maintenance patio home has NO shared walls and a fenced in yard for Fido that backs to community greenbelt! NEW hardwood floors, new carpet, fresh interior paint, new tile, new lighting, new vanities, new doors, new deck....Walk in to gorgeous living room with wide plank grey wood floors, vaulted ceilings, and a cozy fireplace. Upstairs, a spacious bedroom with vaulted ceilings and tons of closet space shares a full bath with another spacious room that could be a bedroom or a loft. Two more bedrooms share a full bathroom on the lower level. It also has a great powder bath perfect for entertaining. The finished basement has a great rec room (could also be 5th bdrm by adding a closet) and a large utility room with a washer and dryer. This home shines - won't last long!